For my birthday this year my family very kindly and generously treated me to a trip to Disneyland! Last week my Mum, my sister and I hopped on the Eurostar to Paris for a magical weekend together. Having recently started treatment for Lyme Disease, I wasn't feeling my best but with some amazing planning my Mum arranged the trip so that I could enjoy it as much as possible. I had the loveliest time. I didn't know what to expect before we arrived but ended up being very pleasantly surprised by the accessibility and the staff's knowledgeability of my difficulties. I thought it may be useful for me to share my experiences and findings here. 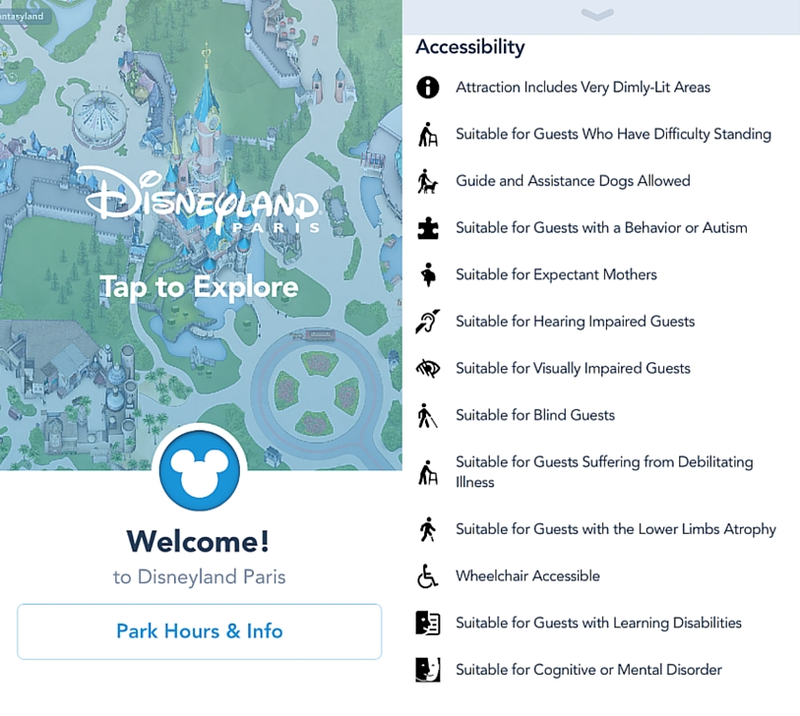 Disneyland offers two types of access cards both of which provide you and those assisting you priority access to certain attractions. This means that you can prioritise limited energy for doing nice things rather than queuing. Access cards are available from 'City Hall' when you enter the main park. This pass is for people who are pregnant or who have a temporary disability/debilitating illness. It allows you and one helper priority access to certain attractions. To get this pass, you will need a letter from a medical professional from within the last 3 months. 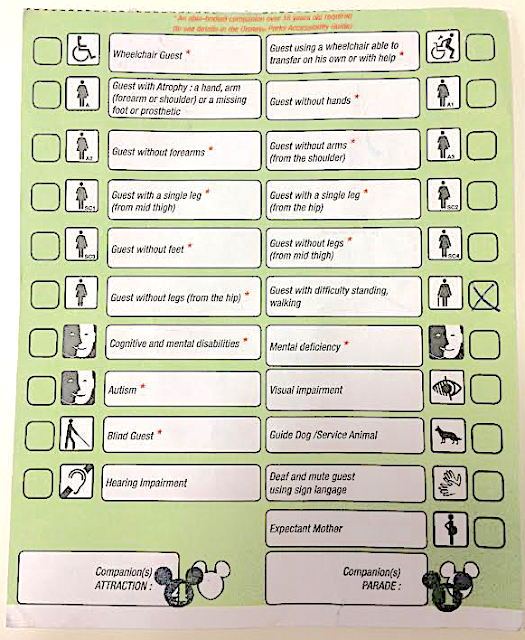 This pass, which I used, is for people with mobility, visual, cognitive, mental health, learning or behavioural difficulties. It allows you and up to four helpers priority access to certain attractions. 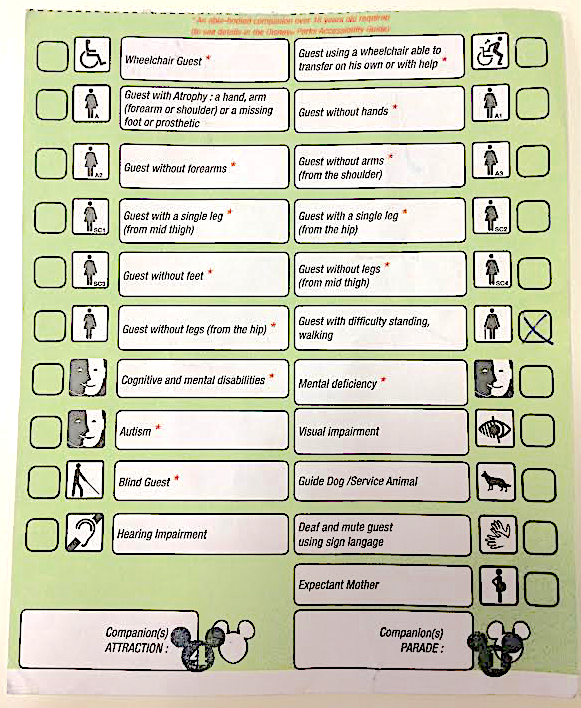 Evidence you can provide to get this pass include a Blue Badge or a signed/stamped medical certificate from within the past 3 months. 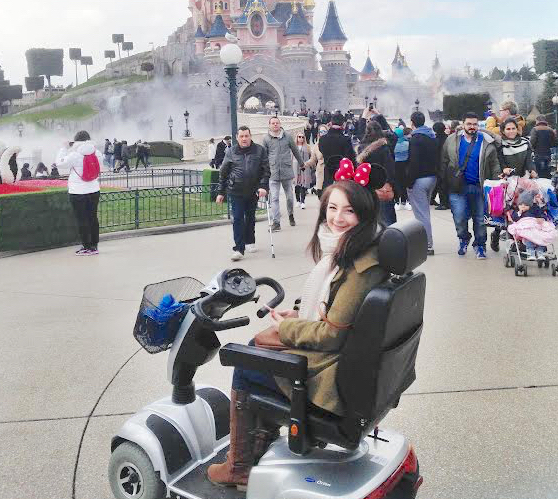 Disneyland offers a manual wheelchair rental service costing €15 per day with €150 cheque / credit card deposit. You do not need to book this in advance you can just visit the wheelchair/ pushchair desk close to the main entrance when you arrive. A really useful tool which my sister found was the free Disneyland Paris App (available here). 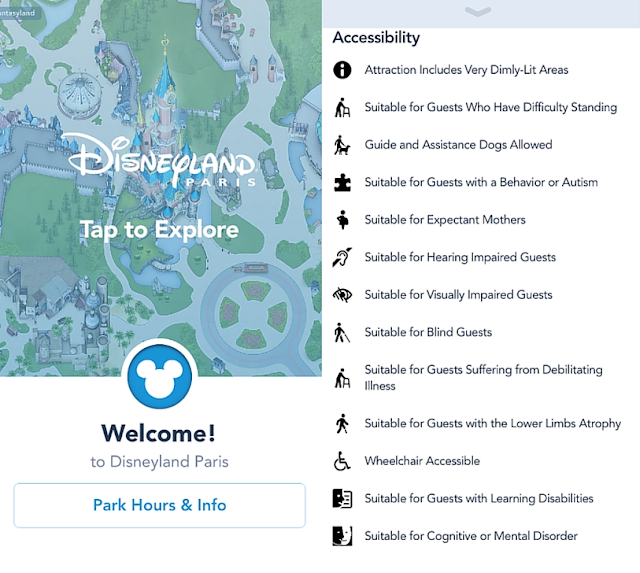 Not only does this provide maps, wait times and entertainment schedules but it also provides useful information about the accessibility of different attractions. This app helped my sister pick out a couple of very gentle rides I could go on despite feeling nauseous and dizzy. While for the most part I found that attractions were well equipped for me to use my mobility scooter in, there were a couple with narrower passageways which made steering a little tricky. It may be best to ask a member of Disney staff about passage widths before entering attractions to avoid getting stuck! Parade time can be quite busy and overwhelming at Disneyland. Fortunately there are several cordoned off viewing areas for those with disabilities. I found that when using this area I had a bit more space and was able to clearly see what was going on without people standing in front of my mobility scooter. The only draw back was that in order to ensure lots of space for disabled viewers, I was only allowed to have one person accompanying me. My sister therefore drew the short straw and had to watch elsewhere on her own. I'd say it is definitely worth a browse when booking and in the run up to a trip. It makes me more than happy to know you were there, Faye, especially with your wonderful family! And hope that payback won't be too long and harsh. Thank you for always sharing your experience, for taking time and energy and writing it. Send you my love and gentle hugs! Mobility scooter is also available in disneyland, It offer a manual wheelchair rental service on the rent to get around the disneyland. Get cheapest Disability Scooters UK direct to the door.